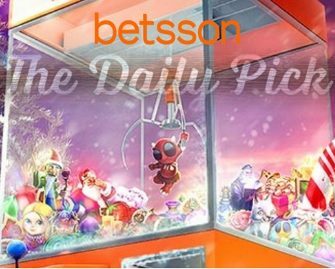 Betsson – The Festive Daily Pick! Enjoy another week of festive treats! Claim a daily present from the Holiday Claw Machine! The second week of the special Festive Daily Picks has just kicked off and players can look forward to even more bang for their buck with additional Free Spins, Bonuses and Wager Rewards throughout the next. The Christmas Campaign will culminate in two players winning an exclusive holiday to Portugal and Japan on Christmas and New Years Eve. Start today with a guaranteed equal share of 10,000 Free Spins on The Legend of Shangri-La: Cluster Pays™ when you wager today €10 on the game. 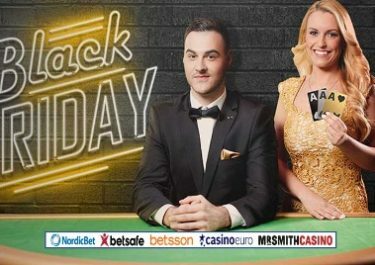 4th – 10th December 2017: Live Casino Mayhem – Participate in Live Blackjack and Live Roulette tournaments to race into the TOP200 of each tournament and win cash prizes of up to a whopping €150,000. Score points for wagering, hitting Blackjacks, winning side bets or equalized points on Live Roulette. Monday, 4th December 2017: 10,000 Legendary Free Spins – Wager minimum €10 on The Legend of Shangri-La: Cluster Pays™ to get an equal share of the prize pool, credited by 18:00 CET on Tuesday. Wagering requirement is 25x Free Spin winnings within one day. Tuesday, 5th December 2017: Spinning Surprise – Wager minimum €10 on Ho Ho Tower, then check your Betsson inbox for a surprise reward. Wednesday, 6th December 2017: €5K Train Tournament – Score the highest single coin wins in all four game modes on Orient Express to place in the TOP150 for bonus prizes from €10 – €250 or 10 Free Spins, credited by 18:00 CET on Thursday. In-game leader board is available. Wagering requirements are 25x bonus or 25x FS winnings within one day. Thursday, 7th December 2017: Famous Free Spins – Deposit €25 to instantly receive 100 Free Spins on Fu Er Dai. Wagering requirement is 25x Free Spin winnings within one day. Friday, 8th December 2017: Romantic Cashback – Get a 100% cashback bonus on net losses when playing Full Moon Romance, up to €50, credited by 10:00CET on Saturday with a 5x WR. Saturday, 9th December 2017: Howling Free Spins – Wager minimum €25 on any slot to instantly receive 75 Free Spins on Wolf Cub™. Wagering requirement is 25x Free Spin winnings within 1 day. Sunday, 10th December 2017: Cartoon Surprise – Wager minimum €25 on Reactoonz, then check your Betsson inbox for a surprise reward. Make sure to OPT-IN first before depositing or starting your play. All bonuses and Free Spins, except the cashback and the tournament prizes, are instantly credited the soon the conditions are met and are subject to standard wagering requirements. Bonuses and Free Spins must be claimed and played before 23:59 CET on the day they were awarded. Wagering requirement applies, subject to the Betsson Bonus Terms and Conditions, always read them carefully.